On the other hand, I have a less famous Android 4.1.2 mobile phone, the Flying F600, which uses the Mediatek MTK6589 Quad Core processor, so I needed a rooting kit that works with this phone and preferably with my MacBook Pro with OS X 10.8.5. 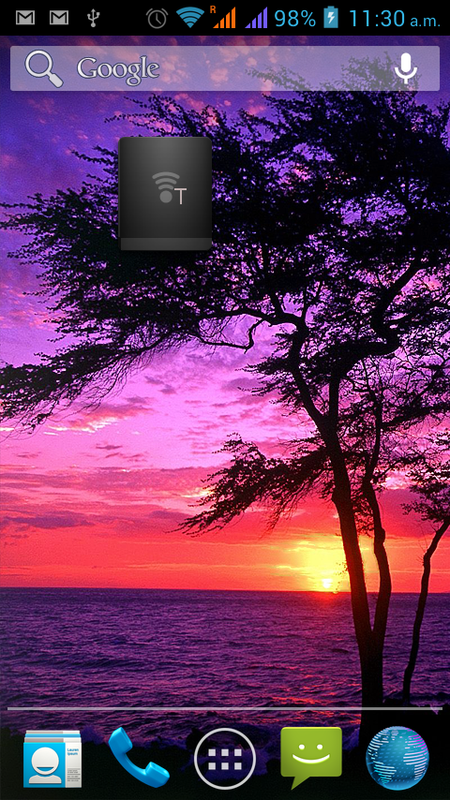 Add the tethering widget to your home screen. Before I did this I had no idea, but I'm a hacking guide, so I have plenty of knowledge SSH, shell scripting, networking, etc. 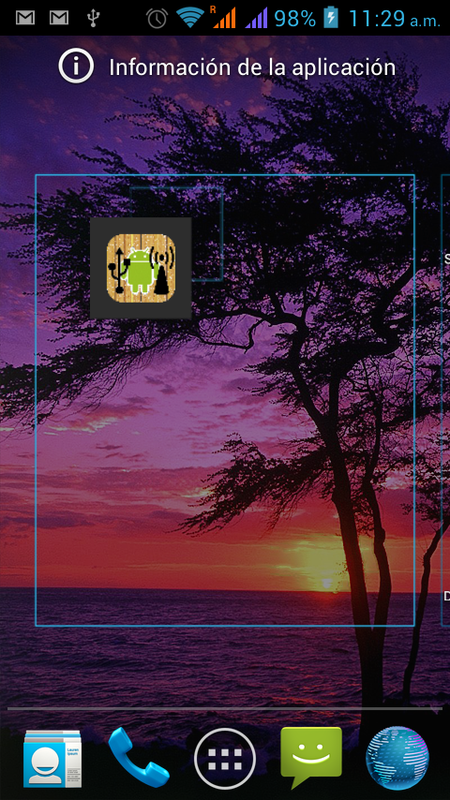 The root kit which I found to work well is the one I found at droidchina forums . The download link is here. Previous to downloading I had to register. I just followed the steps of the article. 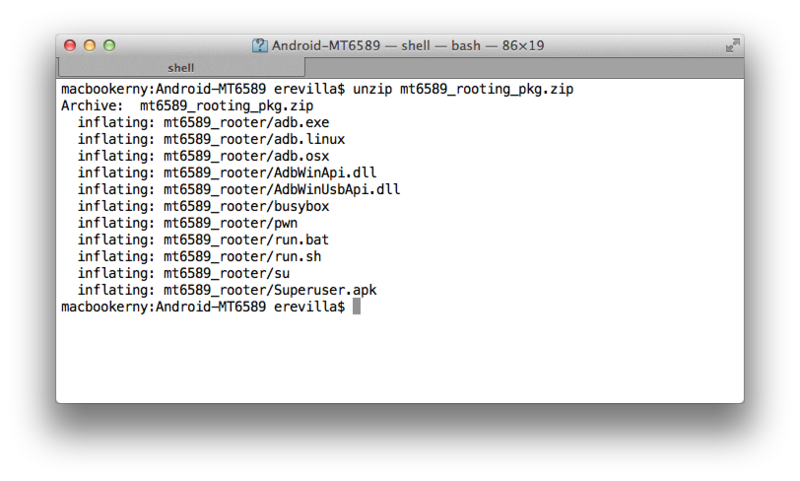 The compressed zip file includes the Android Debug Bridge executable ADB for Windows, Linux y OS X. 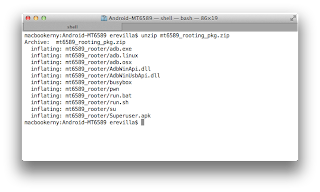 Before running the rooting command (run.sh), make sure your phone's USB connection is debug mode. In the following screen shot you can see the spanish version. su -c "iptables -tnat -F"
su -c "iptables -tnat -A POSTROUTING -s 192.168.0.0/16 -o ccmni0 -j MASQUERADE"
su -c "echo 1 > /proc/sys/net/ipv4/ip_forward"
You can write the script using "adb shell" and "vi". Save the script to /sdcard. I called it "tether_enable". You could also write it using an Android Text Editor like Jota or using a Terminal with vi or some other native commands like cat, etc. The first line flushes iptables "nat" routing table. This is good when the script is executed several times. 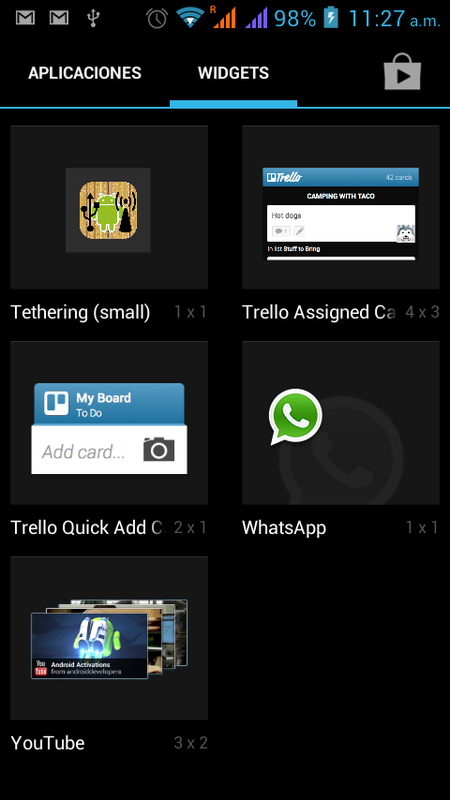 The "ccmni0" interface is my normal public 3G data services interface. You can use the "netcfg" command to find out yours. Anyway, you can try it without specifying the "-o ccmni0" option of iptables. I tried it with "-A natctrl_nat_POSTROUTING" found in several forums but it didn't work for me. I still don't know why. So I used the POSTROUTING chain. Whenever I enable or disable tethering, ip_forward is reset to 0. Script Manager (SManager) is an excellent application to enable script execution. It allows you to execute scripts directly, mark it as favorite, execute on boot or on network change. 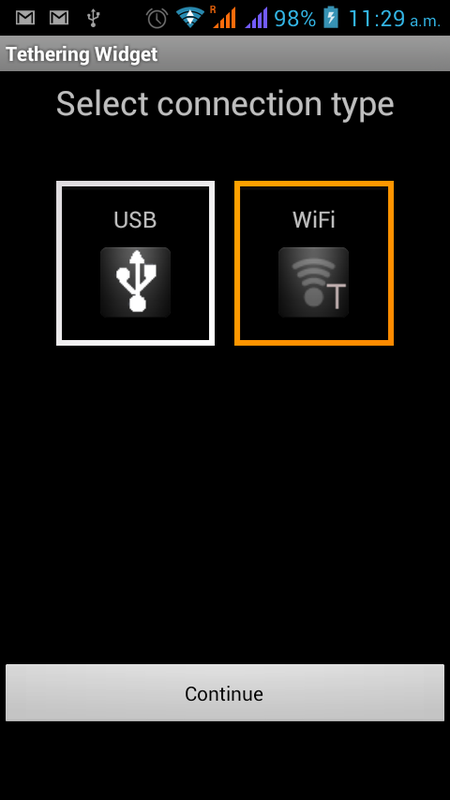 After installing it, I selected my /sdcard/tether_enable script and marked it as favorite, root and net. This executes the script whenever the network config changes.